The Coalition to Protect Maryland Burial Sites is pleased to announce our 28th Statewide Conference and Annual Meeting in Prince George’s County, on Saturday, May 4, 2019. The day—from 9 a.m. until 3:00 p.m.— is planned to be educational, fun, and full of collegiality. Opportunities to present local issues and discuss cemetery concerns at Open Forum are a regular feature of this gathering, as are a short business meeting, a hot buffet lunch, and of course a tombstone dessert. Our silent auction and gift shop will be open for business. Deserving volunteers will be honored with the coveted Periwinkle Award, and the day will conclude with a special afternoon tour of historic Bowie family cemetery. Bring your questions and cameras. The day ends about 3:00 p.m. Cost for the day is $50 for Coalition members, $55 for non-members. Please register by April 30. You have the option to register online below or you can print out the Registration Form and mail it in with your check. Pass this information along to colleagues, friends, and other Marylanders. Preservation Maryland Cemetery Documentation Project: Preservation Maryland is proud to participate in the CPMBS Annual Conference again this year. 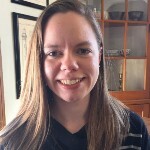 Caroline Herritt, Preservation Maryland’s Cemetery Documentation Specialist will report out to attendees on the progress of the cemetery documentation project currently underway by Preservation Maryland and the State Highway Administration. With few options available in public cemeteries and the churchyards of largely white congregations, African Americans often turned to Mutual Beneficial societies for assistance with burials and funeral costs in the 19th and early 20th centuries. Burial grounds owned and operated by these societies is the subject of this talk by Anne Brockett, architectural historian with the DC Historic Preservation Office, where she assists homeowners, businesses, and government agencies to address preservation matters. 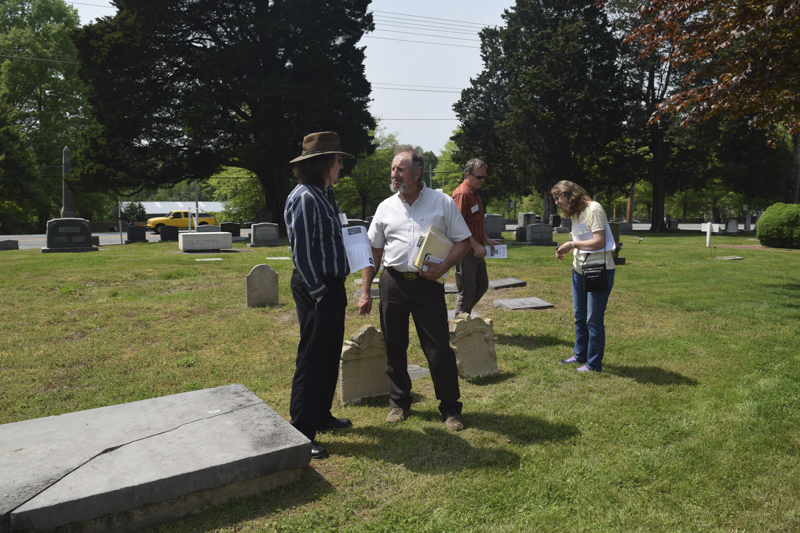 Having a special love for cemeteries, Anne recently produced the District’s context study on burying grounds and from 2004-9 was engaged in surveying all of Montgomery County’s cemeteries for a comprehensive inventory. This presentation will showcase a variety of historic cemeteries, including well-preserved private sites on historic plantations, orphaned family cemeteries now surrounded by development, protected and abandoned church graveyards, sites associated with black communities, complex stories of relocated burials, and unique vaults and sculptures. For 30 years Susan Pearl was research historian for M-NCPPC, conducting field surveys and documentary research on more than 500 historic buildings and communities in Prince George’s County, and authoring publications on aspects of County history, architecture, and archaeology. She currently researches, lectures, and writes about local historical topics. In the afternoon, we’ll visit the Bowie family cemetery, 15-minutes east of Greenbelt. This is the private resting place of at least 25 members of the family of Oden Bowie (1826-94; Governor 1869-72). Visible from here is Fairview, the early 19th century. Bowie plantation house; the house and cemetery are surrounded by the Rouse residential development, Fairwood, but are preserved in a 10-acre setting. The cemetery is maintained by nearby Holy Trinity Episcopal Church, and the house is privately owned.